Agos is a leading financial company in the household credit sector, 61% controlled by the international Crédit Agricole group through Crédit Agricole Consumer Finance, a major French consumer credit company; the remaining 39% of the share capital belongs to Banco BPM. Agos provides credit through different product lines: Loans for the purchase of goods and services, personal loans, credit cards and leasing. AGOS decided to create a new Service Oriented Architecture, DIANA, that relies on and exploits MASA Mash App and Service design patterns that are typically identified for Microservices architectures. DIANA integrates all of the User Stores with WSO2 Identity Server and exposes REST APIs via WSO2 APIManager. During this session, Agos - in partnership with Profesia - will showcase the DIANA infrastructure, describe the functional and the architectural requirements and detail the architectural implementation, explaining how the wso2 products have been installed, configured and used. Simona has more than 20 years of industry experience and has been at Agos for a year. In her role she is responsible for the IT strategy definition according to Agos' business needs. She drives the technology evolution of the IT landscape to follow the roadmap designed. 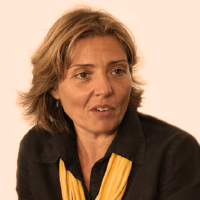 Prior to joining Agos, Simona worked at ING Bank Italy as the Head of IT Services. 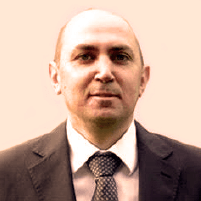 As a principal architect at Profesia, Matteo has extensive experience in the development and management of enterprise projects, based on agile and scalable integration architecture. He has worked on projects in several sectors, such as telecommunication, medical, engineering and manufacturing, where he introduced model-based methodologies for efficient project life-cycles. He has successfully defined and implemented several SOA, enterprise application integration, and business process management solutions. He is also WSO2 certified and is fully competent with SOA.